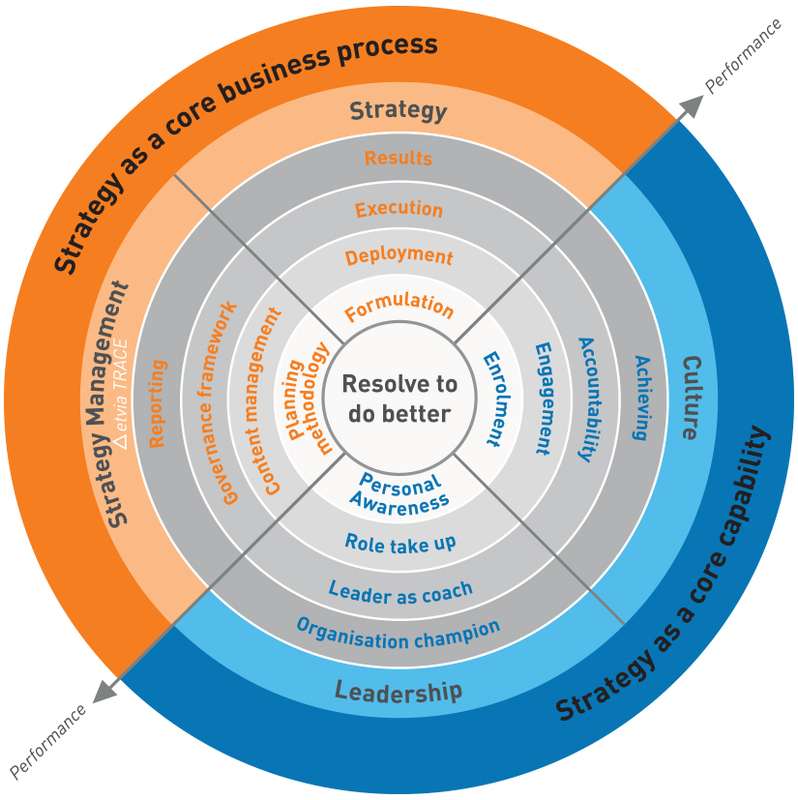 High performing organisations are built on good leaders with a good plan. As most plans fail to transition from strategy to execution, clearly this is easier said than done. We help leaders execute their plans. Direction is clear, boundaries and accountabilities are defined, execution is transparent and follow-through is expected. 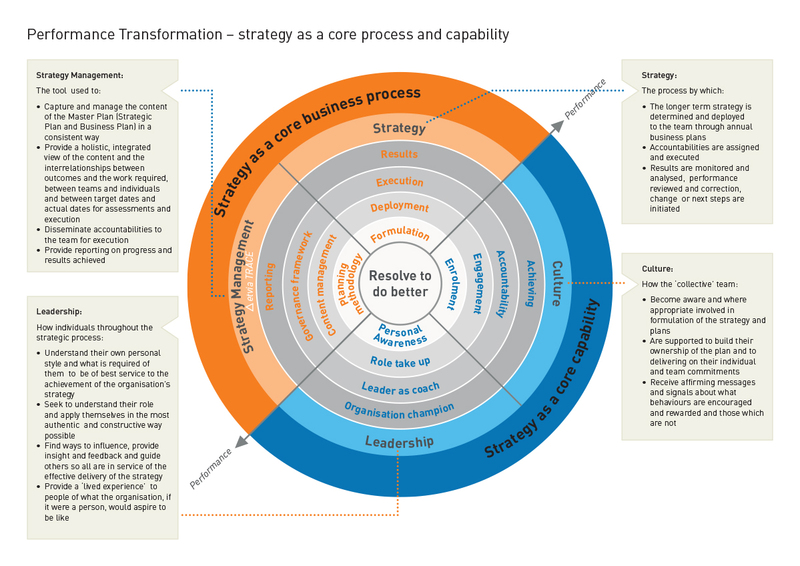 Etvia works with you to help establish strategy as a core capability and process to sustain and accelerate performance. Our approach can be interpreted ring by ring as an elevating maturity and also as four interconnected elements. At the centre is the ‘battery’ or energy source to drive the strategic change – the resolve to do better. Click the image to so we can give you some more detailed information.